Take the outdoors by Storm with Tubbs! Fixed Toe Cord pivot system is perfect for flat and rolling terrain with packed snow conditions. 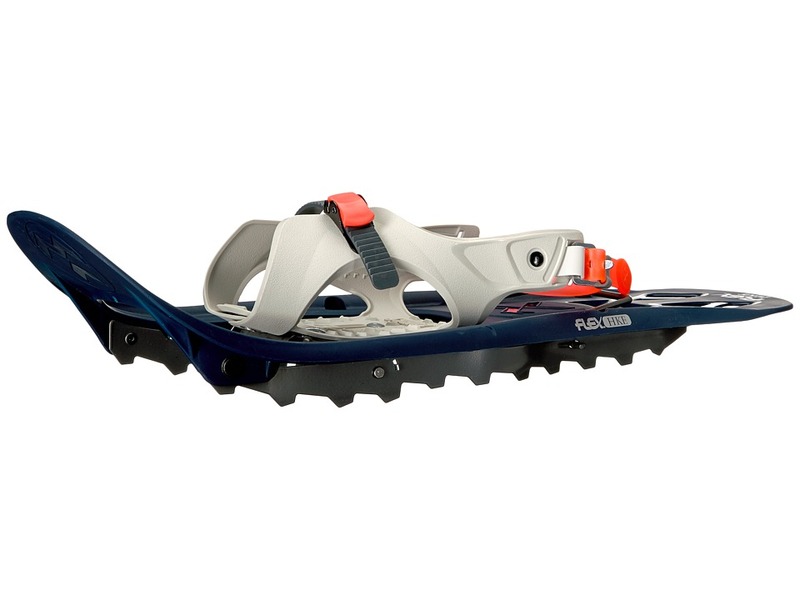 It keeps the snowshoe close to the foot for maximum responsiveness. QuickLock2 binding slides easily to lock and stays snug around the boot providing security and comfort. Carbon steel toe and heel crampons feature front and rear braking teeth for a secure grip uphill, downhill and side hill in packed snow conditions. SoftTec decking provides durable, lightweight flotation. Specifications : Dimensions: 7 x 19 in. Weight per pair: 2 lbs. Optimal load: 40 - 90 lbs. Surface area: 119 sq in. Imported. Take to the mountain in confidence, because Tubbs is there every step of the way. Fixed Toe Cord pivot system is perfect for flat and rolling terrain with packed snow conditions. It keeps the snowshoe close to the foot for maximum responsiveness. QuickLock2 binding slides easily to lock and stays snug around the boot providing security and comfort. 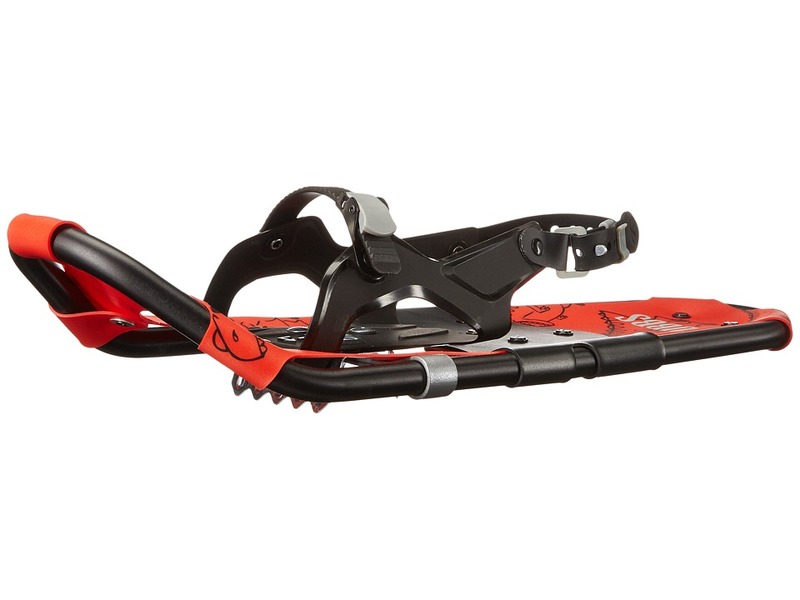 Carbon steel toe and heel crampons feature front and rear braking teeth for a secure grip uphill, downhill and side hill in packed snow conditions. SoftTec decking provides durable, lightweight flotation. Specifications : Dimensions: 7 x 19 in. Weight per pair: 2 lbs. Optimal load: 40 - 90 lbs. Surface area: 119 sq in. Imported. Tubbs delivers optimal performance for your young adventurers. Flex Tail shock absorption reduces stress on joints. Torsion Deck design adapts to your terrain to enhance traction and biomechanics. QuickLock2 binding slides into place to keep the boot secure. Rotating Toe Cord design with underfoot pivot point allows the toe traction teeth to bite deeply into the snow when weighted. Carbon steel toe crampon placed underfoot with 3D curved Traction Rails ensure superior side-hill grip in hard or icy conditions. Specifications: Dimensions: 8 x 22 Surface area: 151 Load: one size Imported.